This fabulous and well known performance of It Ain't Me Babe. Mr Tambourine Man from Live 1975. 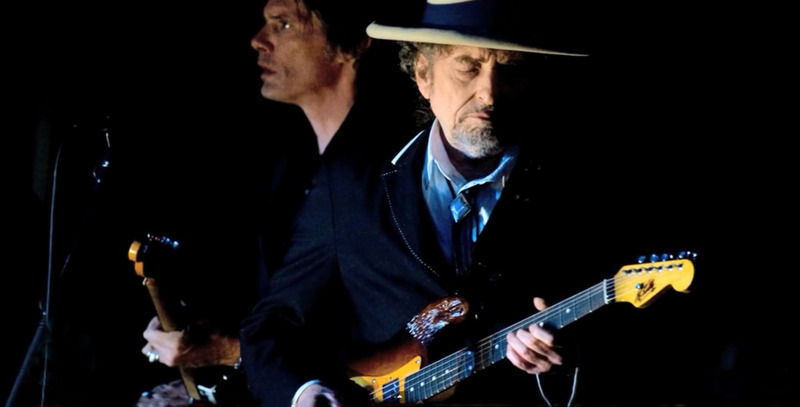 There is something truly magical about that version, something in Dylan´s voice that defies words! Meet Me In The Morning. I need to be in the mood for it but New Morning gets better with every listen. First time I thought it was quite good with a few great and a few dud songs, now I think it is one of Bob’s most cohesive albums and brilliant fun. And now it's Can't Wait... (same show) and Dickie Landrie's saxophone is haunting and beautiful. It's the kind of performance that reconfirms faith in a benevolent deity. I'm not listening to a Dylan song right now. I'm listening to "Re Run Home" by Kamasi Washington. I did listen to "Things Have Changed" earlier this evening, though. When the ship comes in. And then God on our side. Suddenly can't get enough of Tryin' To Get To Heaven.